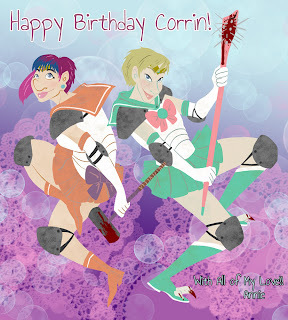 A birthday card I took the time to make for a very dear friend of mine. I insisted she let me draw her something for her birthday, and she insisted she get nothing and to let me focus on my school work, but seeing as I'm waiting to do the job I was assigned and all other jobs were delegated elsewhere, I found myself with some time to spare, and begged her to give me some thing to draw for her birthday. Well, Corrin is the best this way, and gave me a large list of things to draw from. 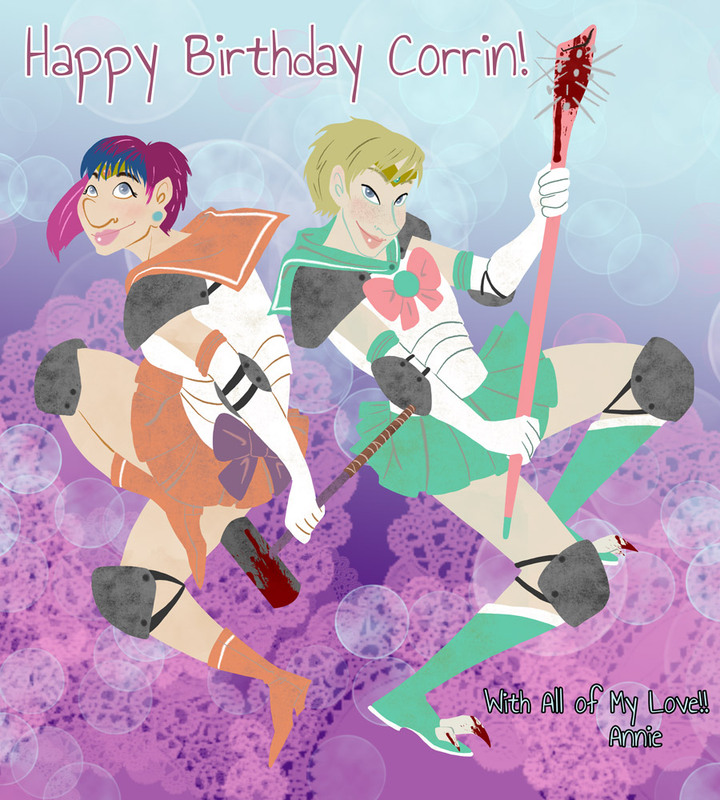 On that large list was "A picture of us" and "sailor scouts" and I decided to mash them together. Picking a single colour for my outfit was incredibly hard. I had to make Jessica do it for me. Anyways, a gift for a friend I never get to see, but who is moving back before too long, so hopefully I will be able to see her more!